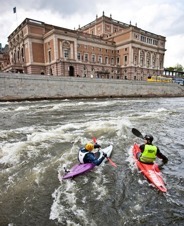 Urban kayaking at its best! A perfect activity for stag parties and hen parties. 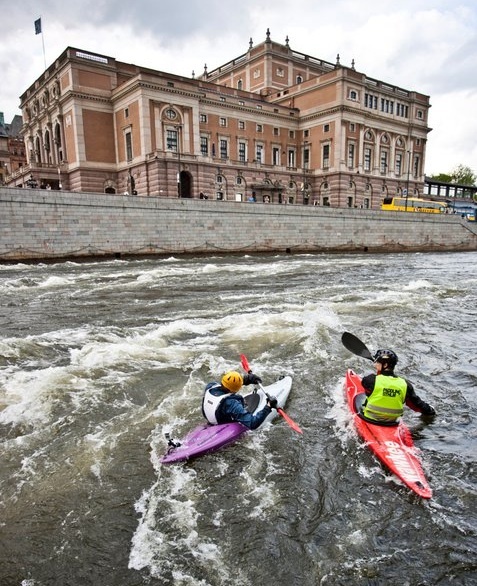 Paddling Stockholm invites you to a session of professional kayak training at a convenient location in Stockholm City, right between the Opera house and the Royal Palace. Click here for a map. All prices include Swedish VAT, 6 %. Click for next activity: Canoe Polo. Please allow up to a couple days for e-mail replies. If urgent, just send us a text message too.